Mary Dorothea Malloy was (an unknown value). She was born on 23 April 1889 at Williamsport, Lycoming County, Pennsylvania. She was the daughter of John Joseph Malloy and Katherine Gannon. Mary Dorothea Malloy was listed as the daughter of John Joseph Malloy on the 1900 census on 11 June 1900 at 1714 11th Avenue, Altoona, Blair County, Pennsylvania.1 As of 25 April 1909,her married name was Mary Dorothea Conley. Marriage record book has a gap between 1908 and 1913. No record found. 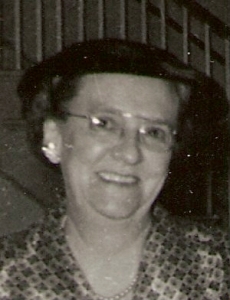 Mary Dorothea Malloy died on 10 September 1974 at Greenbelt, Prince George's County, Maryland, at age 85. She was buried on 13 September 1974 at Cedar Hill Cemetery, Suitland, Prince George's County, Maryland.